2 horizontal hoppers with is tested to be suitable for most elastic dough and nonelastic dough. Independent synthesis device is added to improve the texture and taste of raw material. 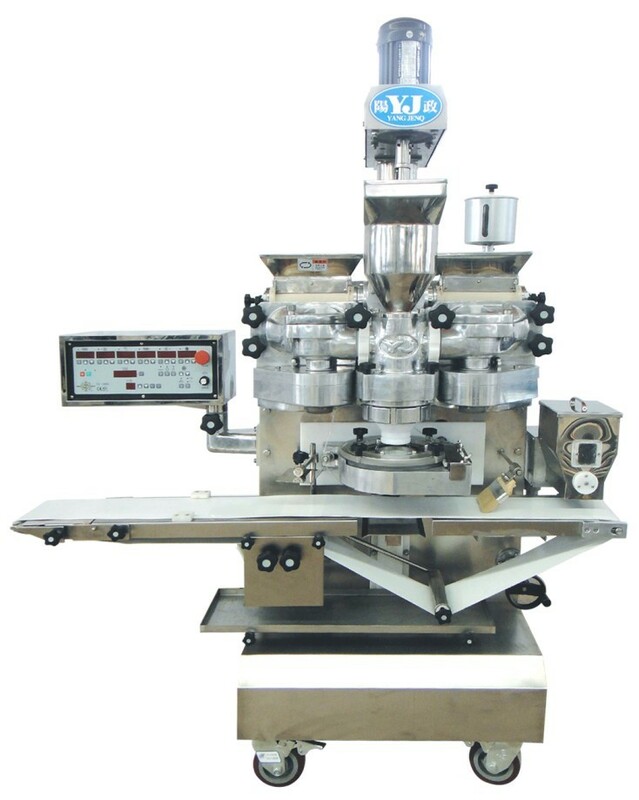 20 layers filling device is added to filling powder stuffing and mini products. Meat filled kubba, Powder filled ghotab, Vegetable filled Puri&Kachori, Nuts filled mooncake, Fish Balls…etc. Dough:Designed for either elastic or nonelastic dough products.